2010. By Ronald Dale Karr. 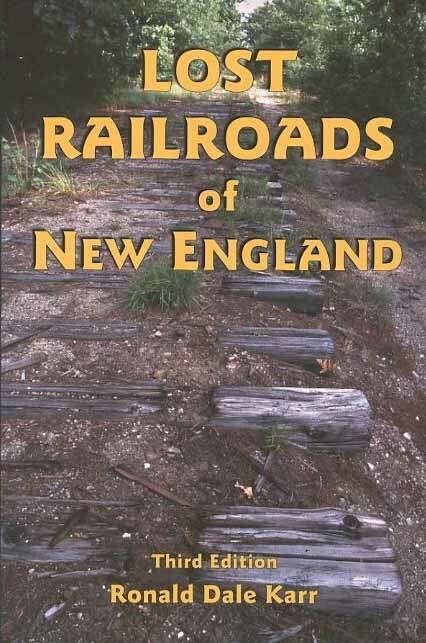 Just released new third edition of this indispensable guide to long lost railroads of the six-state New England region. Book includes updated maps showing rail trails as well as abandoned lines, detailed city maps for areas of dense railroad activity, and many new photographs of trails and rail artifacts. A must have gift for New England railfans, rail-to-trails users and local history enthusiasts! Softcover. 240 pp.